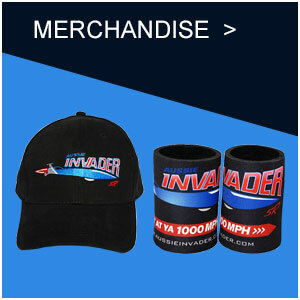 The Aussie Invader 1000 MPH Club is for corporate and individual/family members. Corporate membership is a $1,000 and individual/family membership is $250. Membership to the exclusive 1000 MPH Club includes goodies and benefits listed below. Choose your membership below or click here to donate. Your name displayed permanently in 10mm high letters on our 1000 MPH Club banner on the side of Aussie Invader 5R. A signed limited edition commemorative membership certificate. 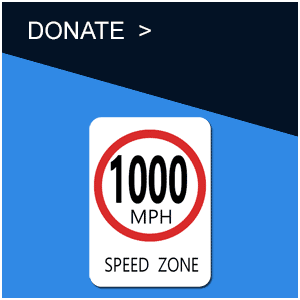 Inclusion into the 1000 MPH Club web page. Your company name displayed permanently in 20mm high letters on our 1000MPH Club banner on the side of the Aussie Invader 5R. 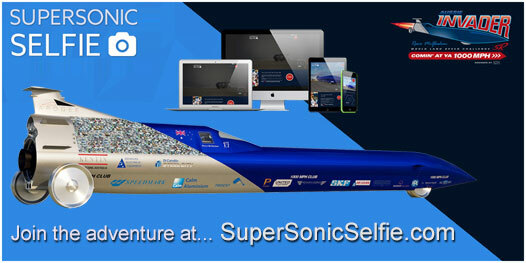 Your companies inclusion into the 1000 MPH Club web page. Donations can be made on this page by simply clicking the Donate button under an amount below. You will be taken to Paypal to finalise your payment.